This 12-week self-study retreat is a companion to Christine's book The Soul's Slow Ripening: 12 Celtic Practices for Seeking the Sacred. Journey together inviting you to explore the gifts of Celtic Christian spirituality, practices unique to this ancient tradition, inspiring stories of Irish saints, scripture reflections, plus creative invitations into writing and photography. What does God desire for your life? Christine Valters Paintner uses reflections, stories, guided activities, prayer experiences, and a variety of creative arts to help you patiently and attentively listen to God’s invitation. Everyone wants to understand God’s call in their lives. 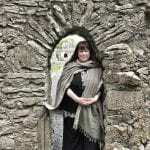 Christine shares one of the most ancient paths to understanding from her study of monasticism and immersion into Celtic spirituality while living in Ireland. The Celtic way, which Paintner distills into twelve practices, offers discernment that focuses on the intuition and embodiment rather than the intellectual focus present in other forms of discernment. It allows for what Christine calls the “soul’s slow ripening,” coming into the fullness of our own sweetness before we pluck the fruit. 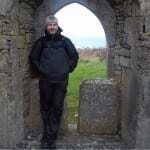 Each chapter begins with a story of a particular Irish saint—some well-known like Patrick or Brigid, others less so, such as Ita and Ciaran—and then introduces a helpful practice for discernment that the saint’s life illustrates. Paintner explores the call of dreams, the importance of thresholds, the practice of peregrination (wandering for the love of God), walking the rounds, learning by heart, soul friends, blessing each moment, and the wisdom of the landscape and the seasons. Participants are invited to explore these concepts through photography and writing. 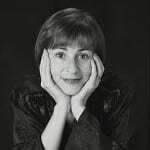 She invites us to contemplative walks with specific themes along with poetic writing prompts for expression. As you explore an alternate way of discerning a spiritual path—one which honors the moment-by-moment invitations and the soul’s seasonal rhythms—you will discover that this book and retreat experience will help you become more aligned with creativity and wholeness. Also included are 12 vibrant songs commissioned for each saint and practice along with gesture prayers taught by liturgical dancer and movement therapist Betsey Beckman, MM to bring the whole body into our prayer in an open and accessible way.